I’ve always had an affection for ginger ale and it’s soothing benefits. Especially when I am under the weather. There is nothing more comforting than dry toast and ginger ale when you just can’t seem to stomach anything else. Ginger is known to soothe the stomach and ease digestion, but unless you make your own ale at home, it can also have loads of sugar and other bad chemicals. Last week I came down with the dreaded flu. At least some manifestation of whatever is highly contagious and going around. I didn’t get it too badly, but I certainly felt yucky enough to stay in bed a few days and sip on veggie broth. I actually avoided ginger ale, and instead made my own tonic. 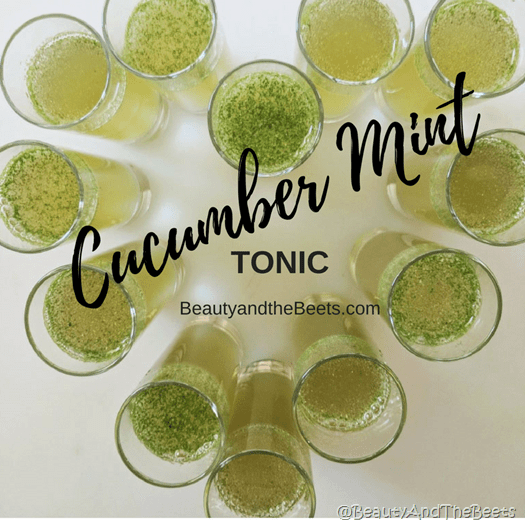 Sometimes tonic can invoke a sense of well-being and comfort, and this Cucumber Mint Tonic did the trick for me. Cucumbers are replacing lemons on water in many establishments. Cucumbers are soothing and hydrating. And one thing you need when you are not feeling well is plenty of hydration. 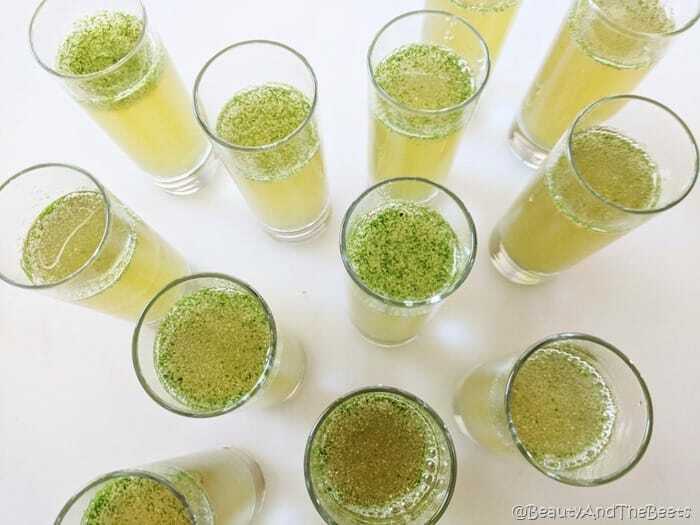 Cucumber water is also a great way to wean yourself off of sugary sodas, like ginger ale. And, cucumbers are rich in potassium, which can help lower your blood pressure. Then there’s mint. Mint is very soothing for nausea, aids in digestion, and can help relieve fatigue. Mint water is a great replacement for that soda we reach for in the middle of the day for a pick me up. 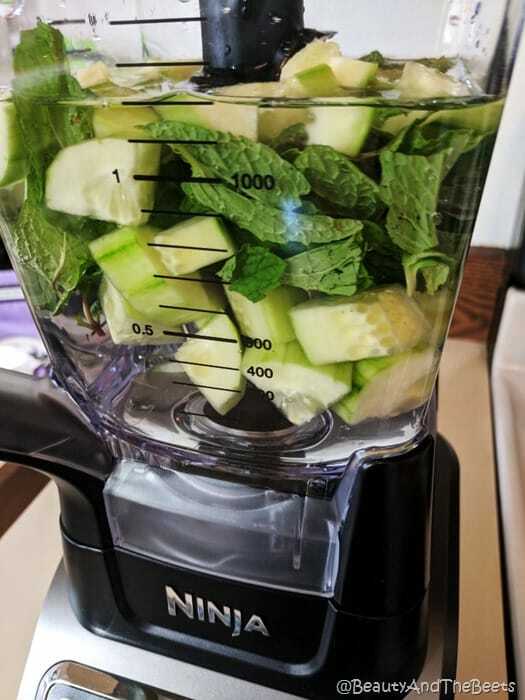 Both mint and cucumber benefit the skin as well as contain antioxidants to assist with cancer prevention. 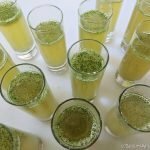 I’ve been making this cucumber mint tonic in a large batch and sipping on it during the week, alternating with unsweetened green tea. It’s so easy to make, three ingredients into the blender, let sit for 30 minutes, then strain. Done. Inspired by a recipe from Health magazine. Place blender cup in the fridge for 30 minutes. 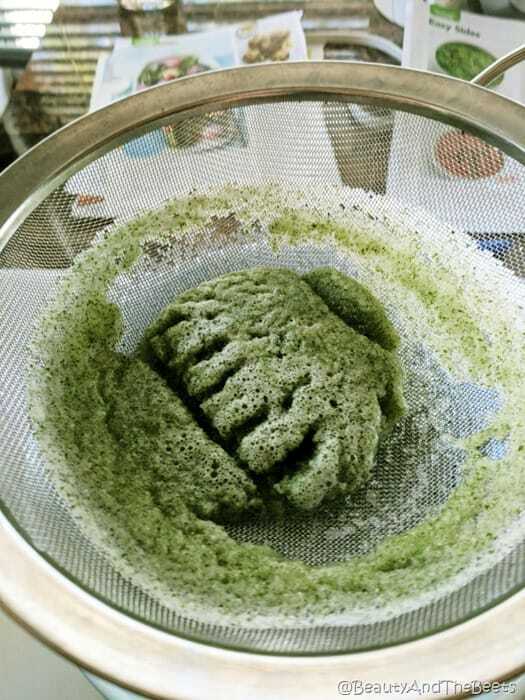 Using a fine mesh strainer, drain the liquid over a bowl. Pour the liquid into a vessel to keep in the fridge. Tonic will store up to a week in the fridge. This would be a great refresher anytime!!!!!!!! !